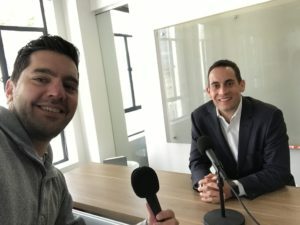 Seattle Growth Podcast continues a season-long exploration of a topic affecting everyone connected to Seattle: homelessness. Today’s episode brings perspective from Seattle business. Jon Scholes, President and CEO of the Downtown Seattle Association, shares what downtown businesses have done to help unsheltered residents and why they’ve committed resources to addressing the challenge. Mike Slade, founding partner at Second Ave Partners, gives his take on Seattle’s business climate and the efforts of the city to continue growing. The interviews give you perspectives on why and how business leaders could get involved in chipping away at the homelessness crisis. 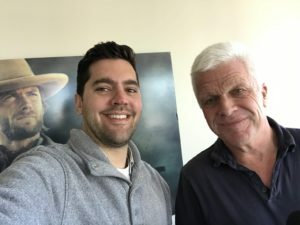 Host, Jeff Shulman, also shared updates on his upcoming feature-length documentary, On the Brink, which features several guests from earlier seasons of Seattle Growth Podcast in a story of history, hope, and determination. Jon Scholes is President and CEO of the Downtown Seattle Association (DSA), overseeing the activities of the 2,000-member organization and the operations of the Metropolitan Improvement District. Previously, Jon was Vice President of Advocacy and Economic Development for the DSA. Jon has spent seventeen years working in nonprofit advocacy, local government and in senior positions on political campaigns at the regional and state levels. Jon served for more than five years as Chief of Staff to King County Councilmember Julia Patterson. The Downtown Seattle Association is a member-based non-profit organization whose mission is to create a healthy, vibrant downtown. By advocating on issues including transportation, economic development and the urban experience, DSA works to ensure that downtown remains a great place to live, work, shop and play. Mike Slade co-founded Second Avenue Partners in 2000. He began his career at Microsoft, where he introduced world renowned products such as Excel and Microsoft Office. Slade was hired as CEO of Starwave in 1993, where he launched ESPN.COM, NBA.COM, ABCNews.com and several other well-known properties. Slade has lived in Seattle for several decades.